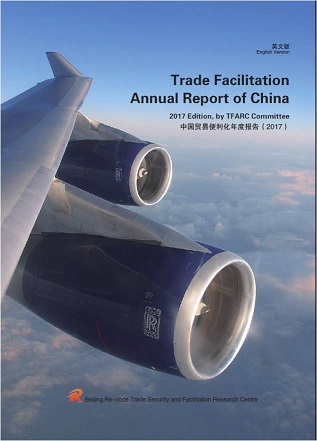 This download is a PDF publication by an INCU Member, Mr Jiang Xiaoping and his colleagues, Mr Guo Guo and Mr Lin Qian of Beijing Re-code Trade Security and Facilitation Research Center (“Re-code”) titled Trade Facilitation Annual Report of China (2017 Edition). The Trade Facilitation Annual Report of China covers a collection of first-hand research findings, as well as documents and materials from both China and abroad. The informative report is helpful to clearly understand the actual state of trade facilitation in China, which contributes to increasing the international competitiveness of Chinese enterprises and provides reference for the government to improve the level of trade facilitation in China. The report shows that China’s customs, inspection and quarantine institutions have made outstanding progress in promoting integration of clearance, reducing administrative charges, single window, paperless customs clearance, cooperation between border agencies, AEO system, publication of average release time, separation of release from duty collection. At the same time, the report also reflects the gap between China and international best practices in advance rulings, fairness and justice of the administrative punishment of the customs, involvement of the trade community.